There are the different ways from which man can shows his style and the Citizen Watches are top in the list of men’s accessories. The citizen is the finest watch made by citizen. The citizen men’s watch is one of those items that can be looked at a true definition of classic style. The name ‘Citizen’ is driven because it wanted to close people everywhere around the world The citizen men’s watch comes in a different variety such as size, color, price etc. 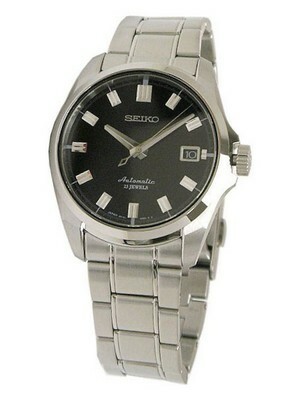 There is more demand for stylish citizen watches in comparison with mechanical watches. 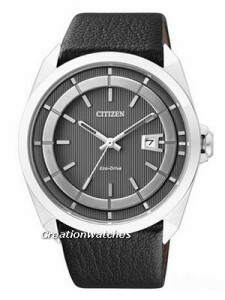 This Citizenwatch is made up of Stainless Steel Case having calf leather strap. The Citizen Eco Drive AW1070-04H Men’s Watch looks glossy because it used Mineral Crystal Glass. Mineral crystal is robust, tough and non-reflective. This watch have specialty that it charged by any lightning source and no need to change battery. The citizen eco-drive watches is also known as friendly solar power watches, because it contain solar cell, and convert light energy into its equivalent electrical form to charge battery when it necessary. The automatic time keeping function of eco-drive technology is sets the time automatically and keeps it accurate. We don’t need to change its battery; it can run on any natural light in whole life. One of most intelligence features of this watch is that it alert when battery is insufficient charged or over charged. Power saving facility also included with citizen’s men’s watches, mens feels comfortable with wearing. It has a black dial with silver hands and markers; the bigger window given at 3 o’clock exhibits time zone, date book, and setting functions for the technical part. Its working caliber is J180. This watch is water-resistant to 50 meters .The case diameter of this Citizen Mens Watch is 42mm excluding crown moves up and down. The pleasant look of this watch is makes more attractive. World’s slimmest LCD watch, world’s first voice recognition watch, professional dive watch etc. are the example of citizen watches which made a leading place in the market of all around the world. You can also gift this eco- drive watch to our friend, and colleague or even your father. This watch is available for US $125.00 with us. Newsletter: Citizen Black Ion Watch on Sale. Only US$ 115.